A new public park is under development on three-quarters of a block in downtown Houston. 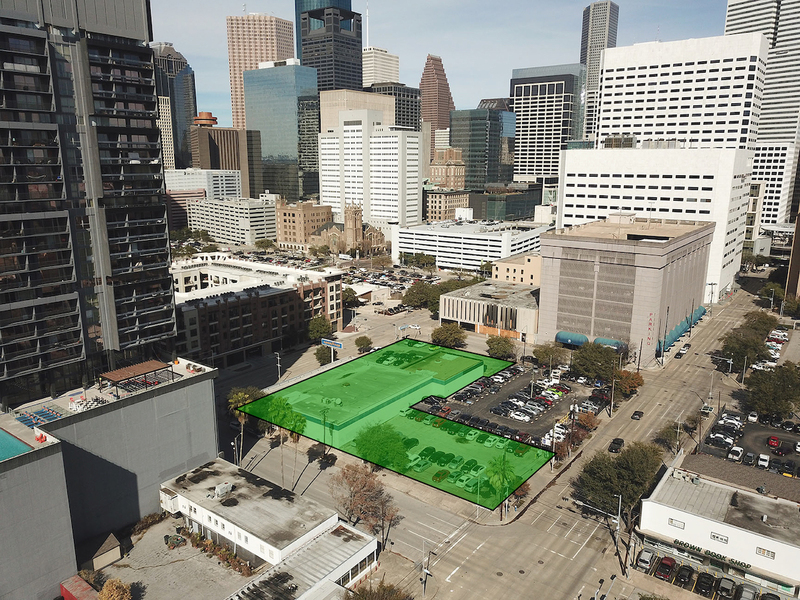 HOUSTON – (Realty News Report) – The Downtown Redevelopment Authority is seeking landscape design consultants to plan the development of the new Southern Downtown Park on three quarters of a block bounded by Bell, San Jacinto, Leeland and Fannin streets. The new park, to be built on land that has been used by Goodyear Tire for many years, is expected to be complete in the summer of 2020. The success of the Downtown Living Initiative, which provided tax incentives to multifamily developers, has created a need for more parks, says Bob Eury, president of the Authority. Southern Downtown has seen an increase of more than 1,500 new residential units since 2012 as a result of the Downtown Living Initiative. The downtown authority’s long-term goal is to collaborate with the Downtown District, the City of Houston and other organizations on projects that will reinforce the identity of this burgeoning neighborhood with distinct streetscape elements, active streets and open green space. The Southern Downtown Park project supports one of the key recommendations of Plan Downtown, a 20-year vision plan for Downtown Houston released in November 2017: Open spaces anchoring new development clusters that will create memorable landmarks supportive of surrounding uses and will promote increased activities.